A young, charismatic writer just out of her cocoon. Writing since a young age of 13, this teenage girl has made her presence felt on various social platforms with the pen name ‘Anikaroy17’. A scrutiny at her blog reveals her vivid interest in the world of literature with more than 600 followers in her bag! Along with alluring stories, she also writes heart-warming poetries on topics ranging from romance to social causes. A student in Second Year Junior College, she is passionate about various form of literatures and actively helps young children learn and explore the beauty of same. ‘Teaching is another way to learn’ is her slogan to aspire her interest in the same. 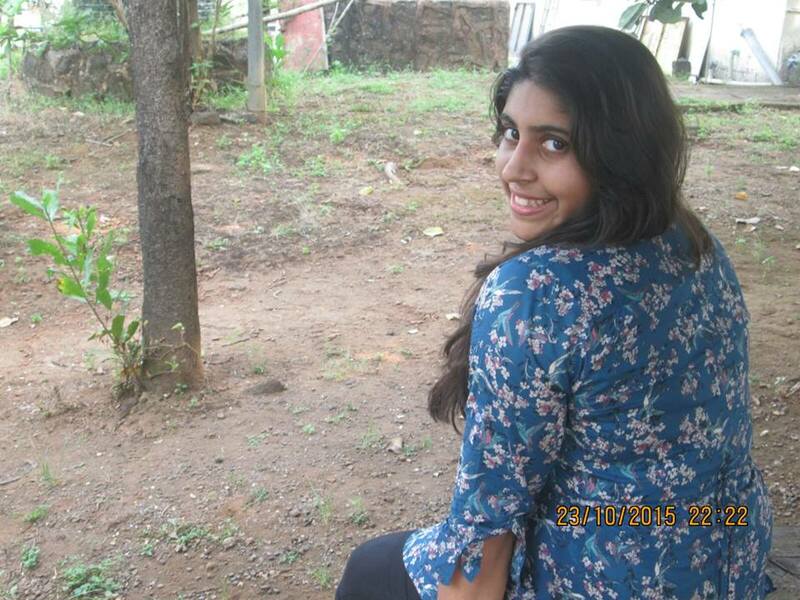 She aspires to pursue literature as her profession and create a niche for herself. She is indeed a gamer with words. She loves reading and enjoy travelling as well. Her passion towards writing will always be a burning flame of her life. How was your experience when you came to know that you were selected for “The Forgotten Life”? Victory Dance, My experience was a first. I dreamed of publishing since the day I started writing, like almost 6 years now. And a year back, I wished and almost challenged myself to get published before 2016 and here I am, publishing on the first day of the year. I guess the emotion is unique in my story. Moving on is a hard part of your life and asking your loved one to do that by being a part of ‘His forgotten soul’ is definitely hard for the both the people. Butterflies in tummy?! I will say it is a mixed feeling, you are happy, scared and excited. But I guess you overcome it when you have paperback in your hand. Any tips to unpublished and aspiring writers? “All best writing have to start somewhere.” This is the quote I always followed. And I still do. There is nothing wrong in scribbling a page or even a book with you writing in it. Just what you need is ‘Faith’ and dedication. Where do you see yourself in 10 years in the field of writing? Having more paper under my pen, touching lives of people through my writing across the globe. Sharing the knowledge, emotions and ideas through my work in best way I can. Amazing, Write youth and Author ink publications have been very supportive and inspiring by guiding me through the process. I am also honoured to have got a chance to know all the other writers and share our ideas. I don’t have a specific genre. I read what interests me. Sometimes it be Teen Fiction, Paranormal or Romance. Hard question. Dan Brown, John Green, J.K.Rowling, Ruskin Bond to name a few. What are your hobbies except for writing? Reading, Fencing, Swimming, Dancing. My mom made sure I have a variety of interests! Do you prefer work over writing or writing over work? Both. It depends on my mood, situation. I cannot have myself writing during exam, can I? I have stepped in the field I always wanted to, so I will always make ways for myself to be in it and make a name out of it. Thank You Ms. Priya for giving us your valuable Time.